Supersize it. This classic PDC features the largest display available and our patented Air Time Remaining calculations built right in. 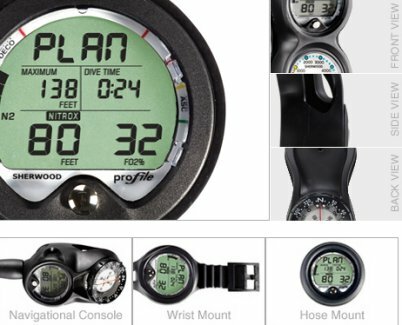 The Pro Plus 2.1 is "air-integrated", constantly monitoring your cylinder pressure and comparing it with your personal air consumption rate and decompression status to deliver your personal Dive Time Remaining based on the most limiting factor. Increased download memory from 256k to 512k - offers storage for approximately the same number of dives, however now includes cylinder pressure with every sample point. 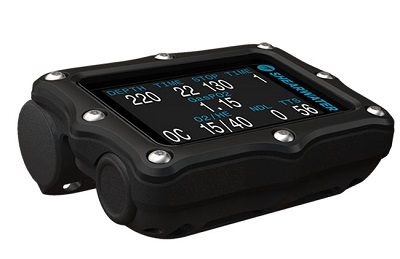 Merging state of the art manufacturing techniques, innovative engineered materials, and consumer feedback, Shearwater has successfully developed a low-profile, sleekly contoured design without sacrificing features vital to technical divers. Its everything you love about the Petrel dive computer, just smaller. Whether youâ€™re 60â€™ down or 260â€™ down, you want exceptional reliability. You also want a computer thatâ€™s easy to read and makes sense. ProFile satisfies both requirements. â€¢ Air/Nitrox or Gauge operating mode. â€¢ Deep stop reminder â€“ conforms to latest theories recommending deep stops for dives that exceed 80 feet. 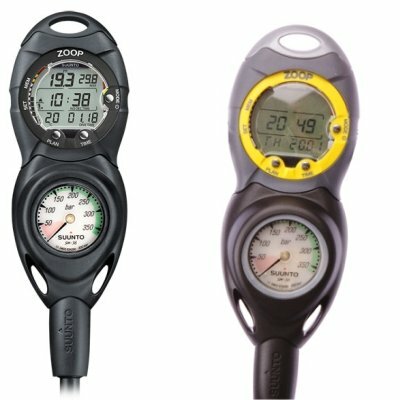 â€¢ Digital and bar graph indicators for nitrogen, oxygen limits and ascent rate. â€¢ Log book data: up to 50 dives. â€¢ Economical companion to Wisdom 2.
â€¢ Easy console upgrade: Profile fits all current Sherwood consoles and can replace depth gauge. â€¢ Excellent entry level computer. â€¢ Analog ascent rate indicator with warnings. â€¢ HydroGlow backlit display for easy reading in low light situations. â€¢ Automatic altitude compensation to 14,000 feet. â€¢ Standard or metric unit selectivity. â€¢ Available in console, wrist mount, hose mount and capsule only configurations. â€¢ Deepest depth â€“ current dive. â€¢ Dive Time remaining (NDL). â€¢ Bar graphs â€“ maximum nitrogen load and maximum ascent rate last dive. â€¢ Water temperature â€“ last dive. â€¢ Surface interval before dive. â€¢ Maximum depth last dive. An adventure should take you anywhere, any way you want to get there. Thatâ€™s why Suunto D4i gives you great freedive features as well as the option of a wireless readout of your tank pressure and air time. Go with your own dive inspiration â€“ youâ€™ll be amazed at how far you can go on just one breath. 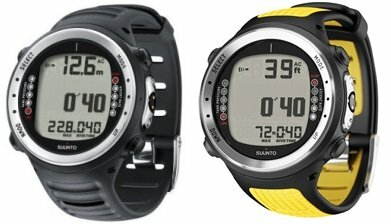 The Suunto ZOOP is an ideal choice for sport divers looking for an easy-to-use computer at an affordable price. 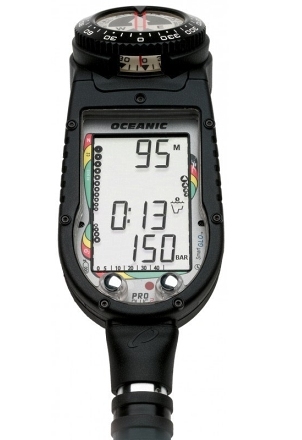 It can be used with both air and nitrox and is designed to give the specifics of any diving situation, including decompression, at a glance. 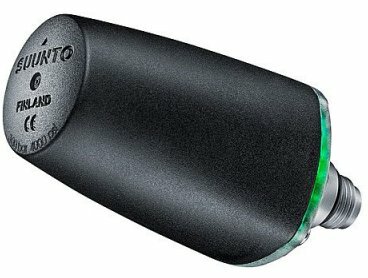 Unlike its predecessor, the Gekko, it can be downloaded to a PC. 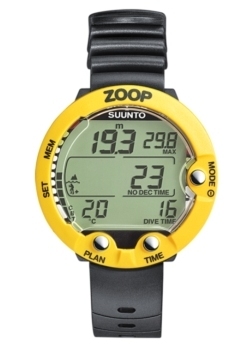 The Suunto ZOOP is an ideal choice for sport divers looking for an easy-to-use computer at an affordable price. It can be used with both air and nitrox and is designed to give the specifics of any diving situation, including decompression, at a glance. Plus it can be downloaded to a PC.